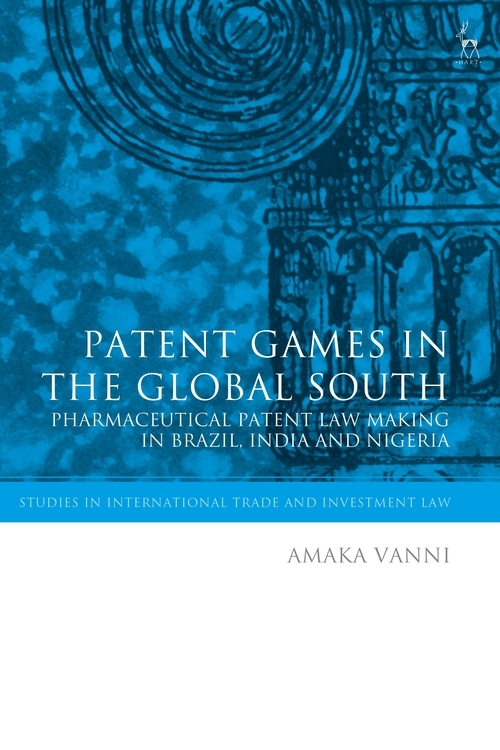 This thought-provoking analysis of pharmaceutical patent law in Brazil, India and Nigeria provides an account of how certain developing countries seek to work around the imposition of strict IP laws under the auspices of the TRIPS Agreement and WTO. 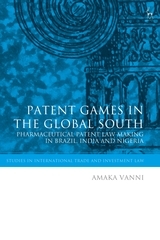 This monograph explores why the experience of Nigeria - a country active in opposing the inclusion of IP under the WTO framework - is so different from that of the experiences of Brazil and India. Focus is drawn to the ways in which the role of social networks and relationships between a variety of actors alter the framing, and subsequently, the responses to the national implementation of the international IP regime. In the process, the monograph offers a timely contribution to the further understanding of the everyday life of international framework for the protection of IP rights, and its domestic implications on medicines access and public health. This book was awarded the 2018 SIEL-Hart Prize in International Economic Law. Amaka Vanni holds a PhD in International Economic Law from the University of Warwick and is a writer and documentary filmmaker based in Lagos, Nigeria.